One of the many activities available during vacations to Las Vegas, Nevada. The stuff Las Vegas vacations are made of! 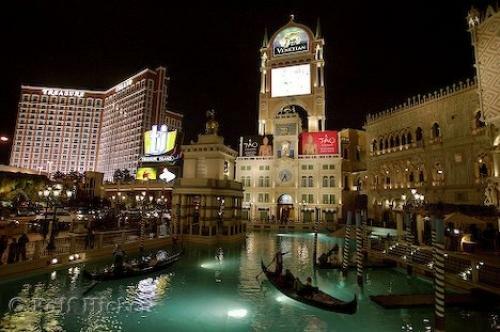 A gondola ride along the quarter mile Grand Canal replica in front of the Venetian Resort Hotel Casino which is situated along "The Strip" in Las Vegas in Nevada.